The Royal Flying Corps was created on the 13th of May 1912 and formed out of the balloon sections and experimental air sections of the Royal Engineers when the progress of aviation created a need for an official Corps. During the First World War the Royal Flying Corps and the Royal Naval Air Service were the aerial force of the British armed force until their amalgamation into the Royal Air Force on the 1st of April 1918. 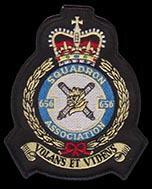 Between the world wars the Army used RAF Co-operation squadrons. 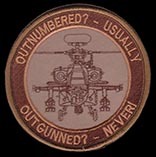 This first Army Air Corps (1942) comprised the Glider Pilot Regiment, the Parachute Battalions (later the Parachute Regiment) and the Air Observation Post Squadrons. 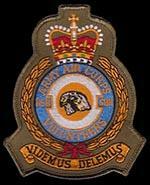 The Air Observation Post Squadrons were units which were recruited from the Royal Artillery and Royal Canadian Artillery. These gunners were taught to fly in order to spot and direct fire for artillery ground units. 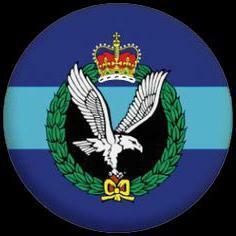 Formed in 1941, the AOP squadrons were send into action all over Europe to fulfill a dangerous but important role. 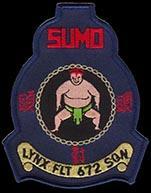 After the war they participated in a variety of situations including the Korean War and Malaya. The Glider Pilot Regiment pilots were recruited from other branches of the Army and subjected to a rigorous training in which they learned to fly the vastly important glider aircraft. The men of the GPR took part in war-time operations including Operation Ladbroke: the invasion of Italy, the D-Day landings, Operation Market: the battle of Arnhem and Operation Varsity: the Rhine landings. 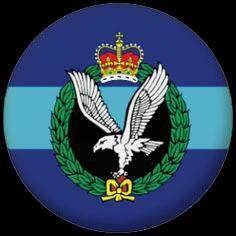 In 1944 the SAS Regiment was added to this first Army Air Corps. 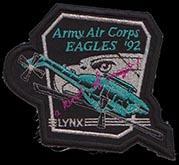 In 1950 the Army Air Corps was broken up. The SAS Regiment returned to its independent status and the Parachute Regiment and Glider Pilot Regiment formed The Glider Pilot and Parachute Corps. The glider pilots were retrained to fly powered aircraft and were formed into Light Liaison Flights operations alongside or as part of the Air Observation Post Squadrons. In 1957 The Glider Pilot and Parachute Corps was renamed The Parachute Regiment. That same year the current Army Air Corps was formed out of the Air Observation Post Squadrons, the Light Liaison Flights and the Glider Pilot Regiment. The AAC provides a variety of roles including surveillance, control and direction of fire power, command support and offensive action. 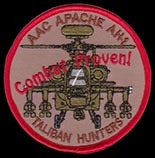 The Army Air Corps is active all over the world and has, among others, been part of operations in Aden, the Falklands, the Gulf and Afghanistan. 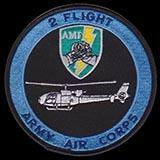 The strength of the Army Air Corps is believed to be some 2000 regular personnel, of which 500 are officers. However, the AAC draws an additional 2600 personnel from the Royal Logistic Corps and the Royal Electrical and Mechanical Engineers. 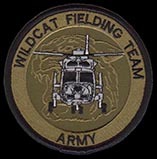 The Army Air Corps operates both rotary and fixed wing aircraft. 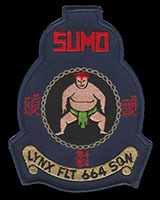 The Corps fleet of aircraft is flown by both Officers and Non-Commisioned Officers. The selection process to attend the Army Pilots Course is exactly the same for both. Army aricrew are soldiers first and pilots second and this philosophy is reflected throughout the selection and training system. Phase 1: Flying Aptitude Testing at the Officer and Aircrew Selection Centre RAF College Cranwell. Candidates complete a Medical Board to assess their fitness for aircrew duties. They will also undertake a series of tests confirming eye/hand/feet co-ordination and the ability to read instruments accurately. Successful candidates will be allocated a place on the Flying Grading course at the earliest convenient date. Phase 2: Flying Grading. This is a three to four week practical assessment, held at the Army Aviation Centre, Middle Wallop, which involves flying the Grob Tutor light fixed wing aircraft. 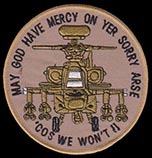 Successful candidates will subsequently be interviewed by the Pilot Selection Board at Headquarters Army Air Corps. Elementary Flying Training: This lasts for 13 weeks and is conducted at the No. 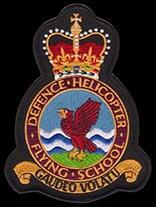 3 Elementary Flying Training School, RAF Barkston Heath. It consists of 47 hours flying in the Grob Tutor two seat training aircraft. Basic Rotary Wing Training: This lasts for 13 weeks and is conducted at the Defence Helicopter Flying School, RAF Shawbury. 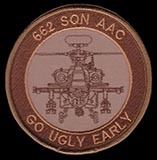 It comprises 35 hours flying in a Squirrel aircraft, covering instruction on basic helicopter handling and introduces cross country navigation. Advanced Rotary Wing Training: This is also conducted at RAF Shawbury at the Defence Helicopter Flying School and lasts 11 weeks, providing a further 34 flying hours in the Squirrel aircraft. It introduces instrument flying, night flying captaincy and low level navigation. Operational Training Phase: This course converts a trainee military pilot into an Army pilot by training the student to operate the aircraft within the Army tactical environment. It is conducted at the Army Aviation Centre, Middle Wallop, lasting 22 weeks comprising 91 flying hours and a tactical simulation course. On successful completion of this phase students are awarded their Army pilots brevet (Wings) provisionally, which is confirmed on completion of a conversion to an operational Army helicopter type. Students who fail any phase of the Army Pilot Course will normally be returned to their unit. Conversion to Type Training: After provisionally gaining their wings, students will remain at the Army Aviation Centre at Middle Wallop to convert to the type of aircraft they will fly once they reach their unit. The length of time at Middle Wallop varies according to the type of aircraft - for Apache this is 26 weeks, consisting of 60 flying hours and 79 simulator hours, and for Lynx this is 10 weeks, consisting of 23 flying hours and 36 simulator hours.